New Delhi, Nov 5 (IANS) His tall frame, unique baritone and casting as a villain in multiple films left Raza Murad caught in the stereotype web that most actors struggle to break. It is after many years in the film industry, that the veteran actor has got a chance to play a romantic, vulnerable and innocent man in "Uncle On The Rocks". "A team consisting of youngsters came to me and I was intrigued as to how they thought of casting an actor with such a tough and negative image, in a romantic role. I was admiring their guts and their gambling instincts," Raza told IANS over phone from Mumbai. A romantic comedy short film, "Uncle On The Rocks" -- created by young talents Prasun Jindal and Vedd V Rawtaani -- sees Raza play the character of a 60-year-old man who wants to fall in love once before dying. He bribes his nephew to help him make his profile on Tinder, and from there begins the uncle's tryst with love. "I did not do a romantic role in the prime of my youth. 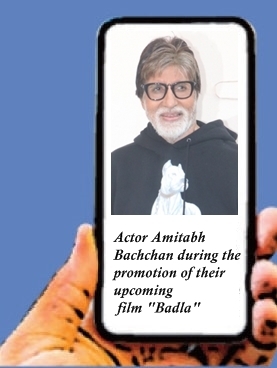 Now that I have got to play the role, I have worked hard on it," said the actor, who has featured in films like "Prem Rog", "Henna", "Ram Teri Ganga Maili", "Khud-Daar", "Ram Lakhan" and "Padmaavat". On a jocular note, Raza said: "My casting in 'Uncle On The Rocks' is like Rajpal Yadav being cast as Shahenshah or Akbar." Apart from intermittent projects like "Uncle On The Rocks", Raza keeps busy with events, seminars and acting workshops.